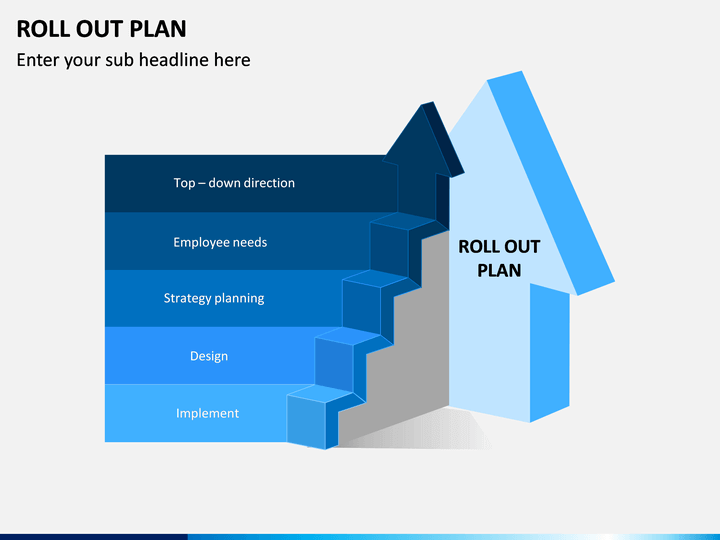 Educate your audience about Roll Out Plan with this entirely editable and high-definition PowerPoint presentation. 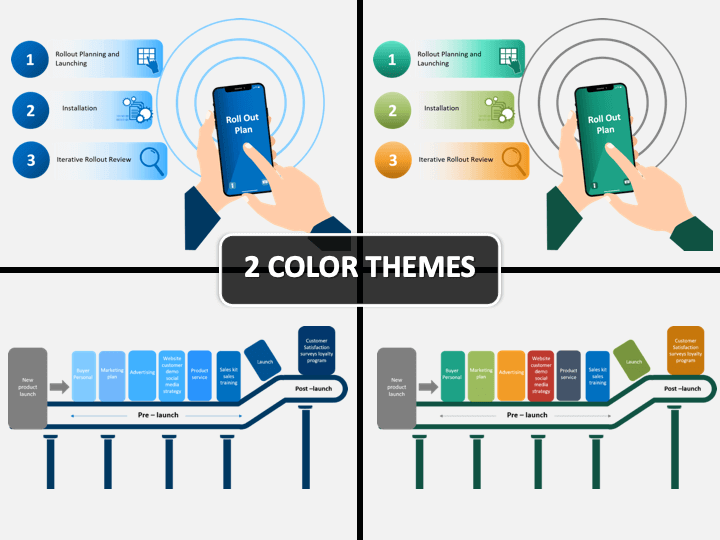 The template is based on a master slide and comes in different color themes. No thanks continue to checkout Roll Out Plan Template . 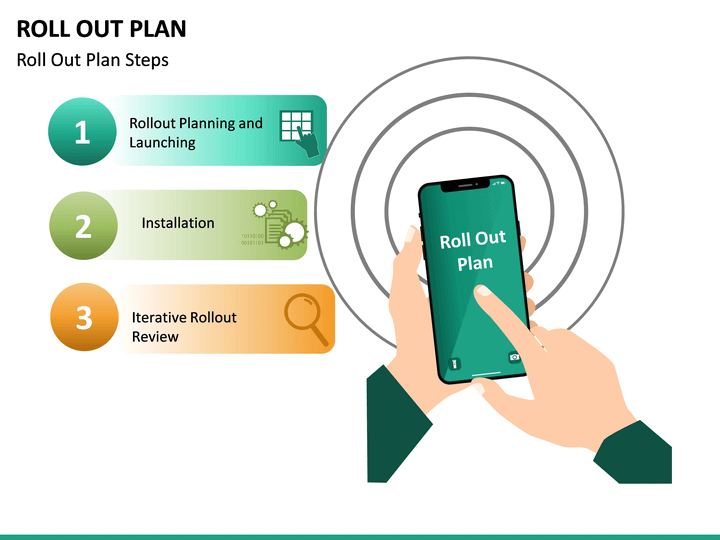 If you want your project to be implemented in the right way, then you should come up with a foolproof roll-out plan. 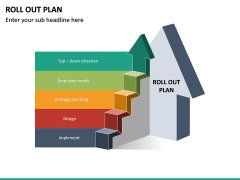 To start with, make your colleagues and audience familiar with it. 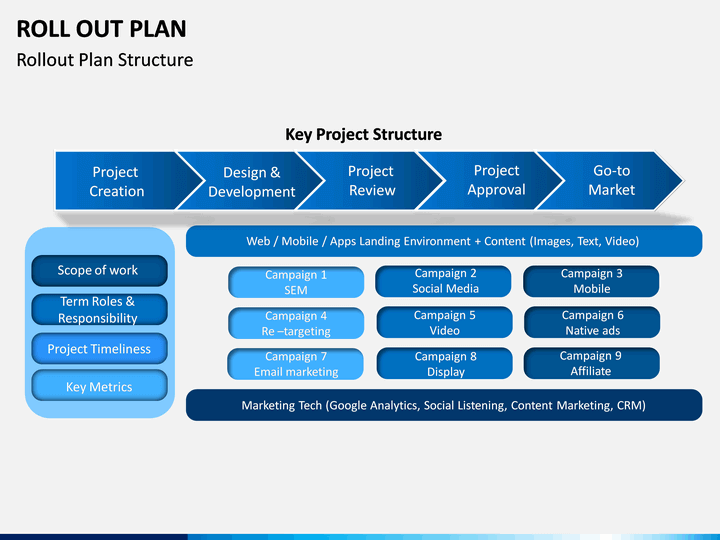 You can take the assistance of this professionally drafted PowerPoint template to do the same. It will save your time and impress your audience as well. 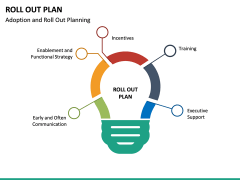 It is a perfect solution to educate others about the roll out plan in less time. 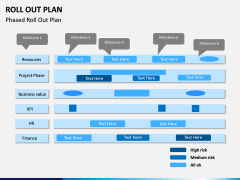 Since the template is 100% editable, you can easily customize it without any prior designing experience. 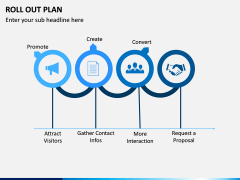 It features all kinds of graphics that you can readily use as visual aids. 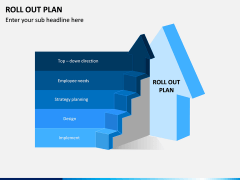 What is included in the template? 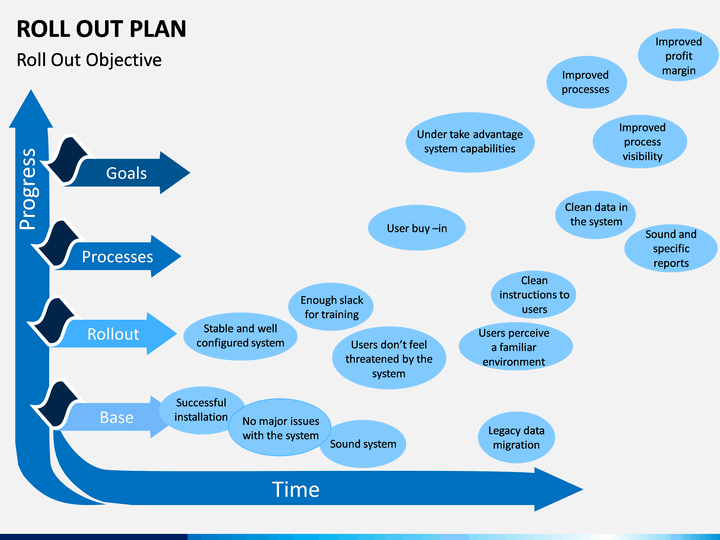 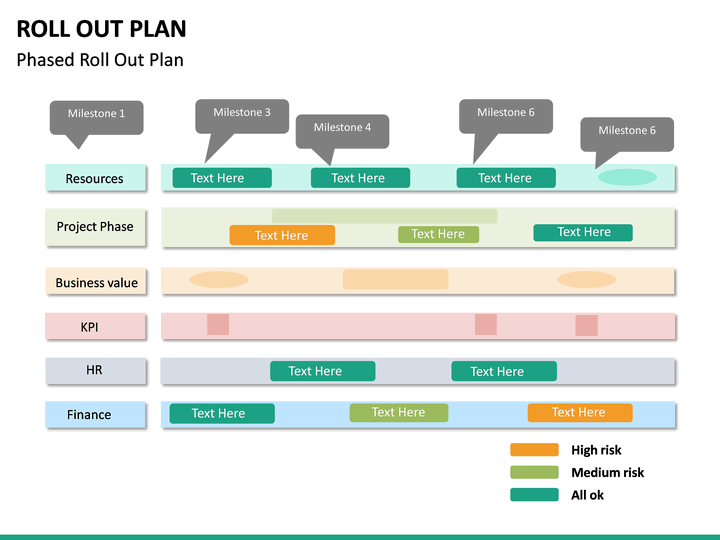 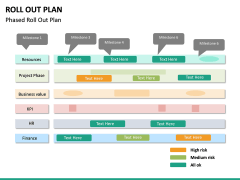 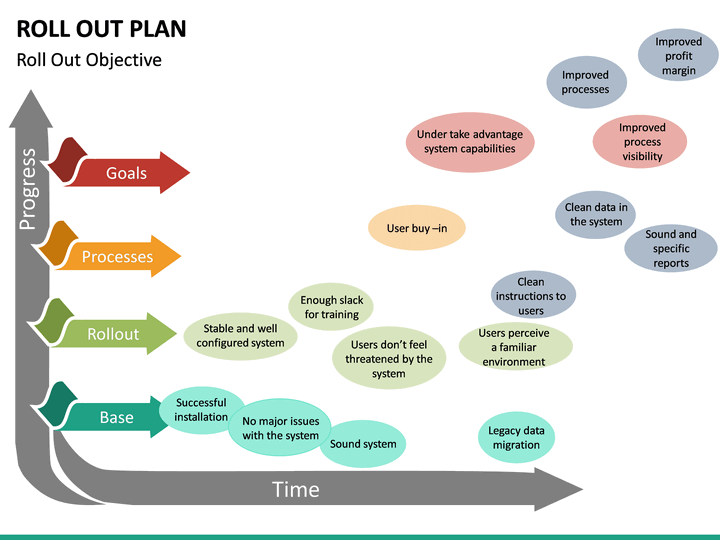 Using these illustrations, you can easily explain every important detail about Roll Out Plan. 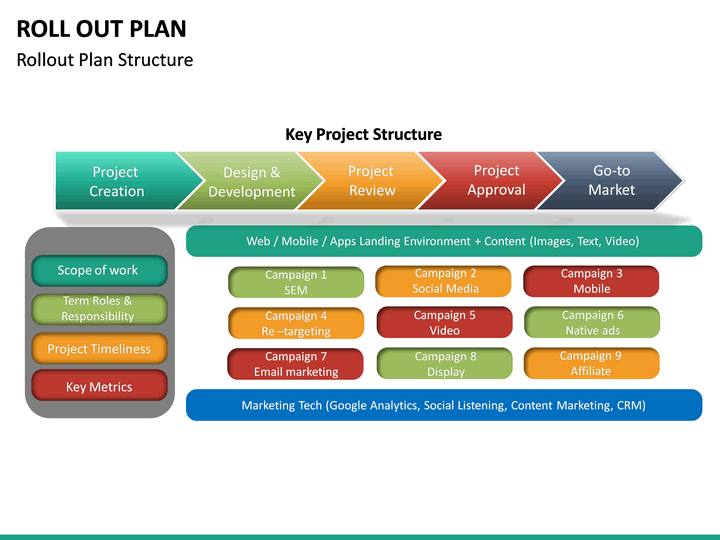 Explain to your audience how to implement it, what are its major steps, the ideal way to adopt it, and more. 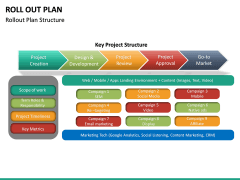 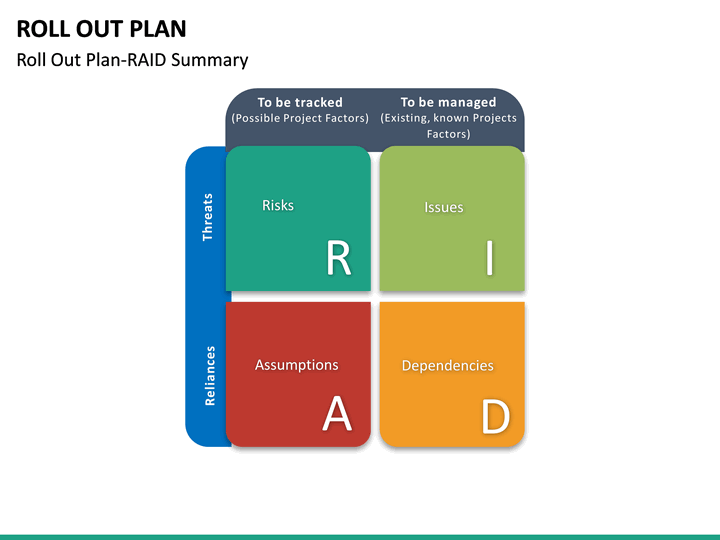 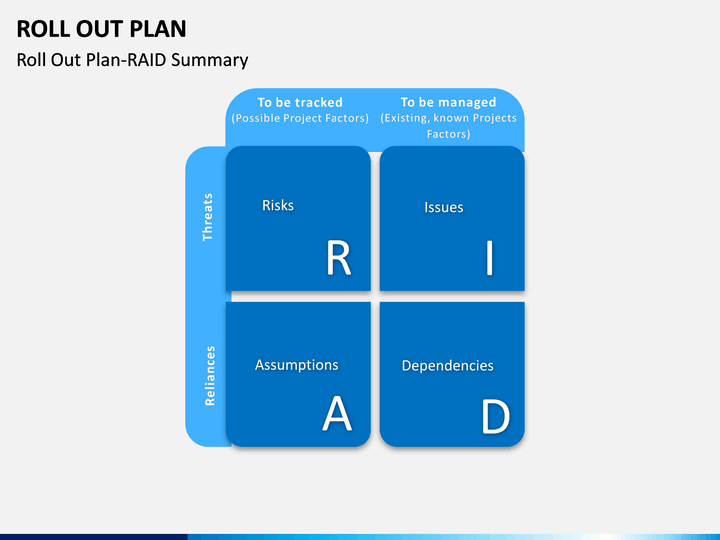 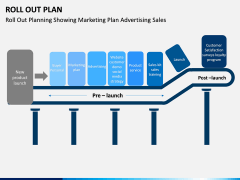 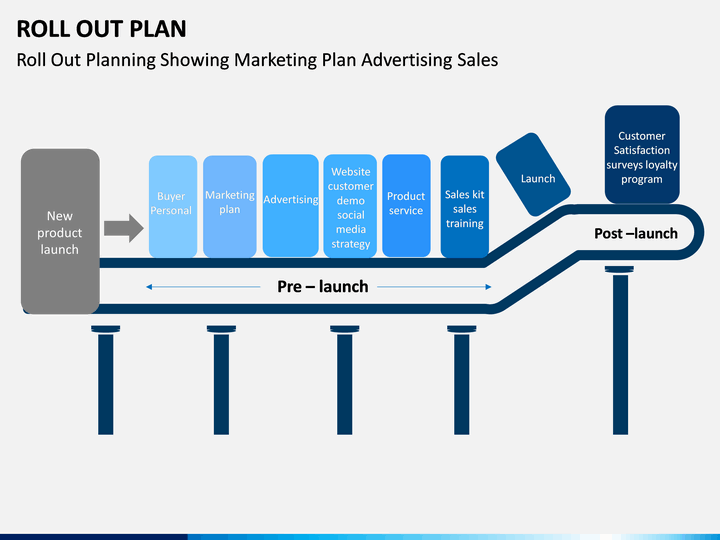 With the help of these slides, you can also elucidate advanced topics like the plan structure, objective, different phases, RAID summary, how it is implemented in marketing, and so on. 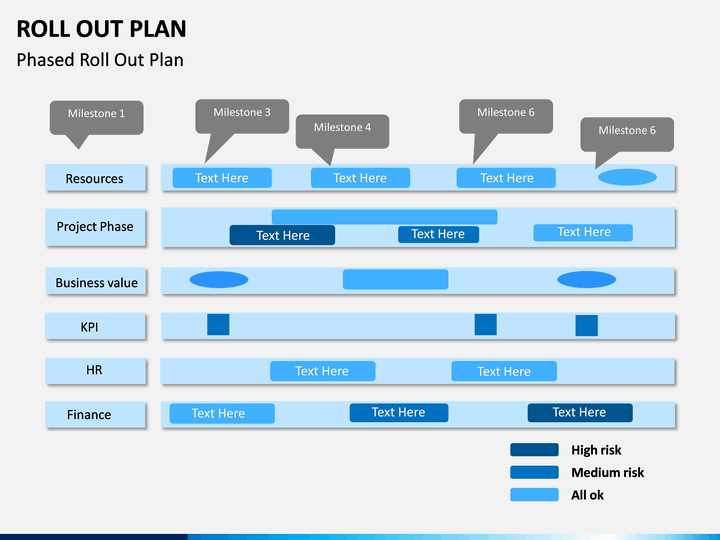 There are various visually appealing illustrations for these topics in the set that you can readily use. 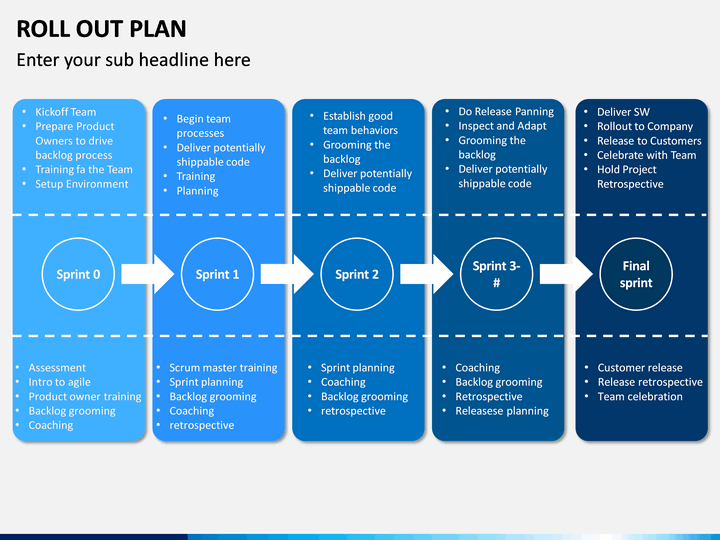 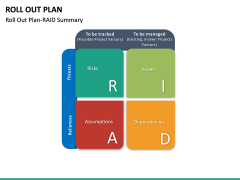 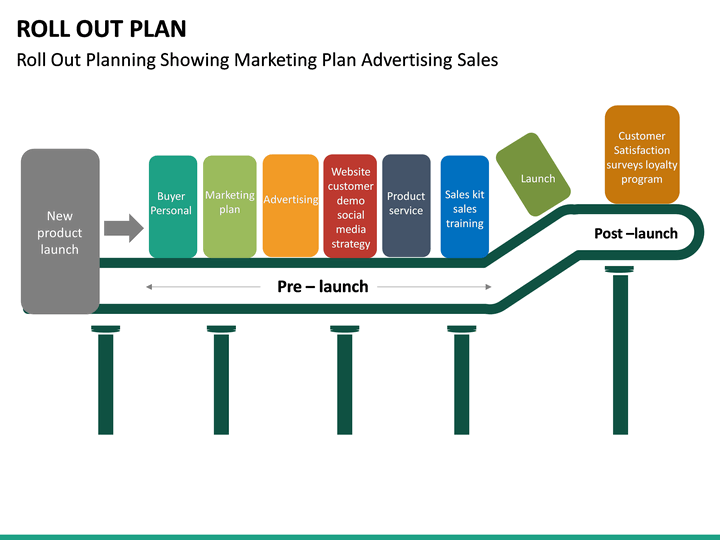 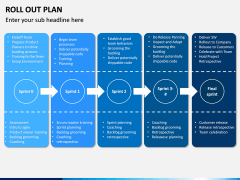 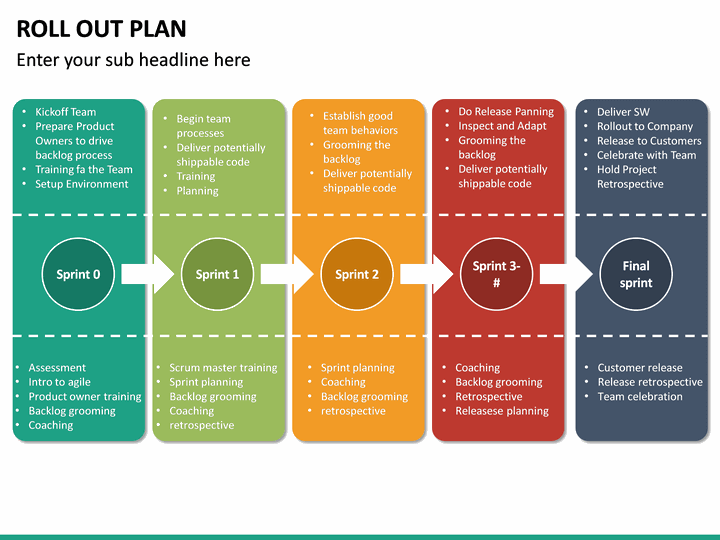 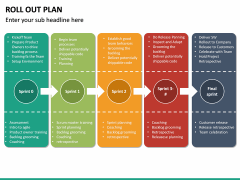 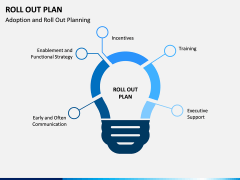 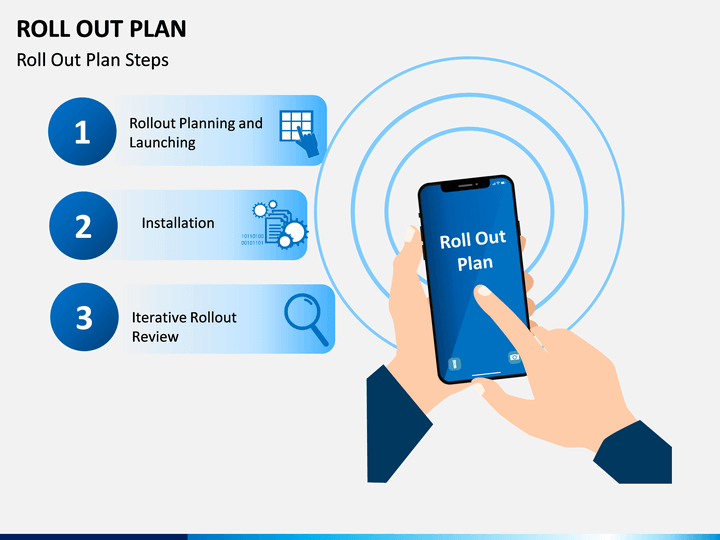 What is a Roll Out Plan? It is an implementation plan that defines how certain steps should be undertaken in order to meet specific goals. 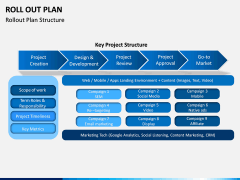 It includes a pre-planned schedule to implement something, the expected cost, target audience, and so on. 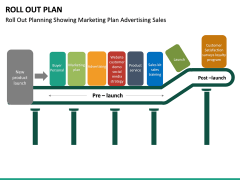 While the concept holds a vital importance in marketing and sales, it can also be implemented in other domains like human resources, training, healthcare, etc. 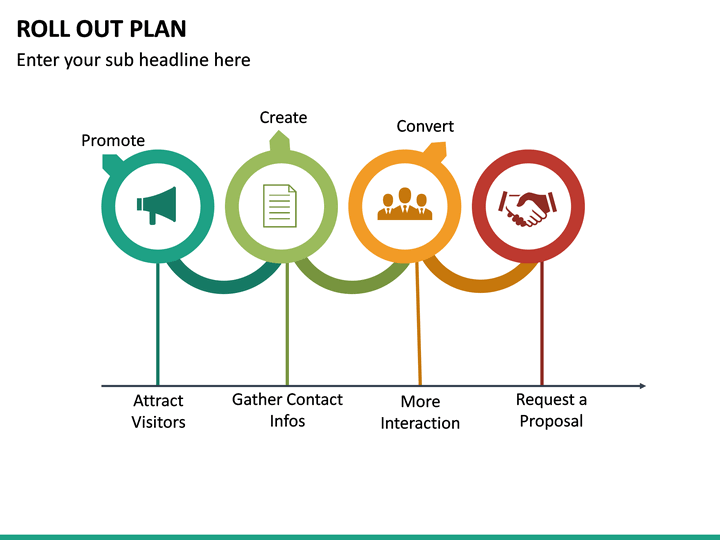 If you want to educate your audience about the topic, then this would be a perfect template for you. It doesn’t matter if you belong to marketing or healthcare, human resources or sales – the set will come handy to you on numerous occasions. 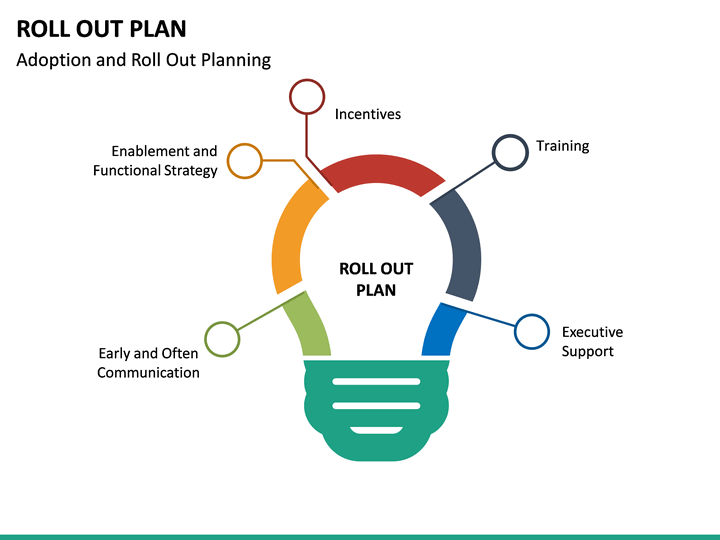 It can be used by educators, trainers, project managers, analyst, departmental heads, consultants, marketers, and all the other related professionals. The template can be used to draft PowerPoint presentations, Apple Keynotes, and Google Slides. 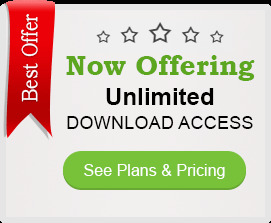 You can simply edit it as per your needs, clip out any illustration, or use it readily as well. 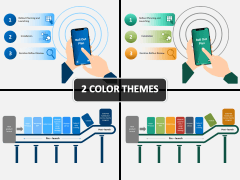 Just pick the color theme of your choice, make the needed changes, and you are good to go. 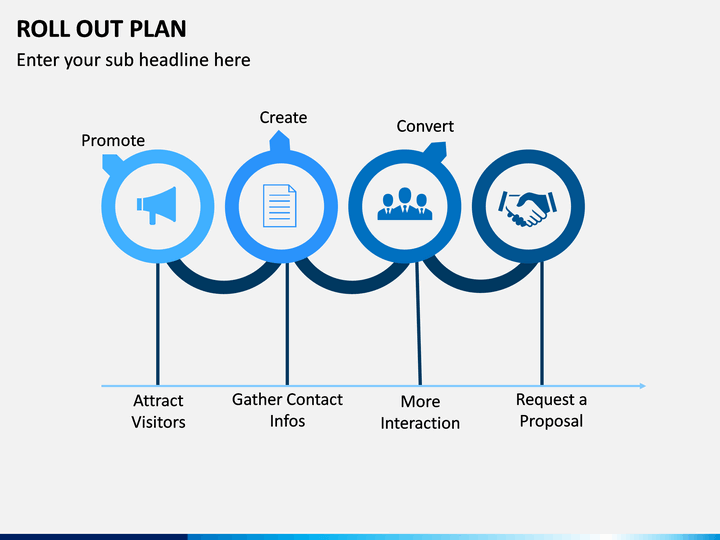 Save your time and be sure to grab compliments from others for drafting such an engaging presentation.